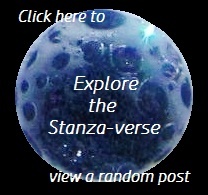 Life Echoes Life | What Rhymes with Stanza? “Life imitates art.” That’s the theme for this week’s Daily Post photo challenge. Hmmm. I thought of a great photo op for this topic but, alas, it would involve two other people who are not available today, a drive to a city park where the art is located, and getting wet in the rain… Maybe next time. Or later in the week, at least. In the meantime, here’s my take on life imitating art imitating life. Or something like that. “Girls at Piano” by me. I’m not sure how the dog fits into all this, but I’m sure that — with my granddaughter’s tutoring — he’ll be playing in no time at all. This entry was posted in Photography, weekly photo challenge and tagged children, dogs, photography, piano, weekly photo challenge. Bookmark the permalink. I enjoyed your take on the theme very much. Very nice photos for this week’s challenge. Love the painting of your daughter’s at the piano. A very touching collection! I love this! It’s also quite amazing to see that you and I have twin dulcimers… and… Kurtzman pianos! You were wise, though. My Kurtzman is a player piano. The idea, when my daughters were young, was practice piano lessons… then have a turn with choosing a roll. Unfortunately, they ended up liking to play with their feet more than their hands! I’m sure my daughters would have preferred that, too. Do you play the dulcimer? Mine, unfortunately, spends most of its time as a wall hanging. My dulcimer has a similar fate… it’s a decoration atop the bookcase in our library space. When I was teaching, it would go to class with me when we were learning about the Oregon Trail. Very nice, I really like that last photo! Thank you, and thanks for commenting! Thank you. She’s a real sweetie.